This guest post is by Cooper Elling who writes about writes about Velashape Cellulite Treatment, cooking, and a myriad of other topics. Read this, if you wants to write for Techncom. Maybe you’ve heard about this whole guest blogging thing that people are doing or maybe you’ve been doing it for years. Regardless of who you are, a few of these tips may help you get started or be great reminders of some of the basic essentials that help you get articles posted versus denied and why you do it. I think it makes sense to start with why people guest blog. 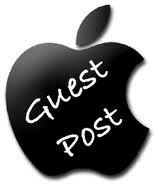 Guest blogging is a fantastic way to promote your blog and get back links to your website/blog. A back link is an active “dofollow” hyperlink typically in the “Author Bio” section at the end of an article. Search Engines see these links to your website and it can help boost your search engine rankings slowly but surely. If you really serve a specialized niche, you can guest blog to become a known source of authority and expertise on a certain topic. This is why if you find a blog directly related to what you do or sell it helps to become a regular contributor. Blog articles are easy to scan. It helps to break up your articles into multiple paragraphs with there own titles so that a reader could easily breeze through and understand the basics of what you’re trying to talk about. From there, they can read what is important to them. It is more pleasing to the eye and as a reader. Just like everyone else in the world, blogger’s are busy people and more often than not do many things other than blog. So, if you want them to publish your article instead of someone else’s you should take a few minutes after you’ve written your blog post to make sure it reads well and is free of grammatical errors. Before you write the article you have in mind, take into consideration what the owner of the blog would love to see. Take a little bit of time to scan their website and see what type of articles are on the site or recently posted. Then you’ll be sure to write an article that will provide the most benefit to their blog and not be a repeat of something they just posted. Most blogs have a “write for us” page or something along those lines where they talk about the standard guidelines for posting on their page. Some of the common topics are about length, links and content. Be sure to follow these guidelines if you want your post to get accepted. One of the main reasons you’re blogging is for the links back to your website so make sure they are correct! It would be frustrating to put in the effort and not get what you’re looking for in return. And often times if you notice the mistake you can ask the blogmaster to make a change, but as I said before, their time is precious just like yours. >Excellent post Cooper, Guest blogging can take our blog higher. >@Naser, Join our community. Write for this blog. We are now 17 authors. >Guest blogging on bigger blogs is not the best of ways to get good result, just like what Onibalusi Bamidele said concerning this, He said "Write post for as much blogs as you like, either lower or bigger because all links count but make sure that you have your links on top blogs too". With this coming from the king of guest blogging, I think there's no need of wasting our time to write for bigger blogs if they don't accept post when small blogs are there with good reputation on google and other search engines. >Guest blogging is also a FUN way to interact with other webmasters and create a name for yourself online. It will motivate you to think of better articles and more powerful angles, in order to get a chance of being published at the elite blogs. Like someone before said though, it's wise to start by publishing in smaller blogs until you improve your skills and learn to deliver content that does not fail to impress.